1 Blemished Available: $1,214.96 This item is available as a Blem/Refurb. These are items that cannot be sold as "New" merchandise and are limited to stock on hand. See the product details for a description of the product's condition. The Alpinestars GP Pro For Tech Air Race Suit carries over all of the same Moto-GP derived go fast goodies from the the regular GP Pro Race Suit, but is set up to integrate with the latest in airbag technology. A row of LED indicator lights on the left sleeve informs you of the Tech Air's operational status and internal conduits allow for quick and easy connection to the airbag system. Ergonomics and comfort reign supreme with localized perforation, DuPont™ Kevlar® enhanced stretch panels and CE-certified armor throughout. Truly the top of the heap, the GP Pro Tech Air Race Suit is ready for the highest levels of competition. 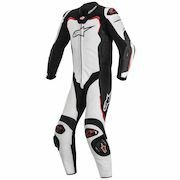 Note: We have found the Alpinestars GP Pro Tech Air Race Suit tends to run a bit small and suggest going up if you are between sizes. This GP Pro Race Suit is built to accept the Tech Air Race Airbag System. The vest, which must be purchased separately, installs easily in just a few minutes and does not require any external sensors to operate. Should it detect a crash, it will deploy a protective airbag, providing unrivaled protection to the rider's full back, shoulders, kidney area and chest. Note: Tech-Air airbag system sold separately. 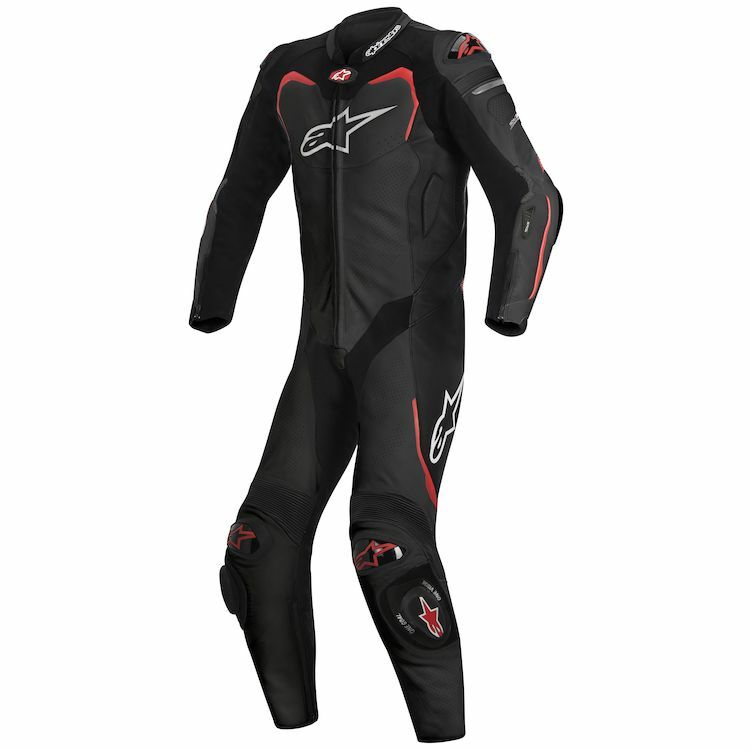 Black/Red suit may have white Alpinestars logos on shoulders and knees.